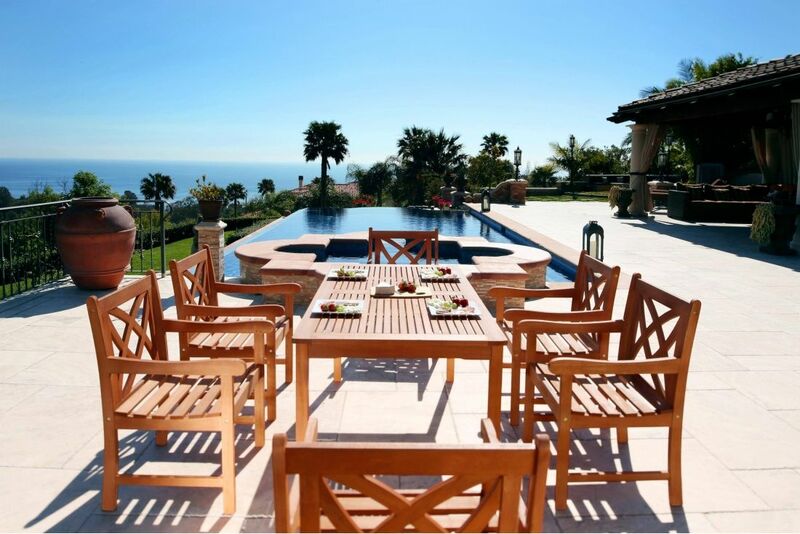 Make way for dinner parties, idle summer cocktails, and the optimization of fresh breezes to come with this Malibu Outdoor Patio 7-piece Wood Dining Set! Made from 100% Eucalyptus - a very durable Hardwood, this set that can stand up to all kinds of changes in the weather. The pores of the Eucalyptus is very dense; thereby it quickly repels water, and its natural oil combats and repels wood-eating insects.